North Colorado Medical Center has received designation as a Distinguished Hospital for Clinical Excellence 2017. This marks the 9th year in a row that NCMC has received this distinction. NCMC is one of 258 hospitals nationwide and one of 14 Colorado hospitals named by Healthgrades this year. 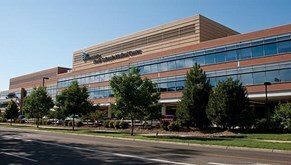 North Colorado Medical Center is a 378-bed tertiary facility serving a four-state region. NCMC provides the only Burn Center and air medical transport (North Colorado MedEvac) in northern Colorado. With over 350 physicians on staff, we offer a full-complement of subspecialties including programs in comprehensive cancer care, orthopedic surgery, women's and children's services, sports medicine, cardiac services, general surgery and rehabilitation services. Level II Trauma Emergency Department, Cardiac and Vascular Services, surgery, birthing and intensive care. The North Colorado Medical Center Cancer Institute provides another enhancement of patient services as NCMC continues to grow. 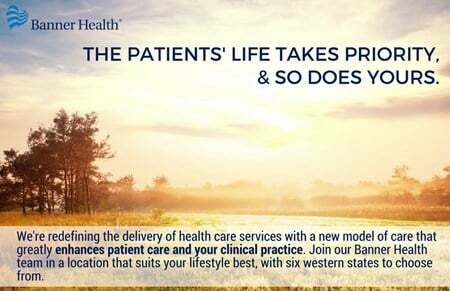 BANNER HEALTH, a Top 5 Large Health System, is one of the leading not-for-profit in the nation; we are financially strong and growing responsibly to meet the needs of the communities we serve. NCMC recognized as Banner's "Best of the Best" for 2010. Rocky Mtns/DIA 45 min. ; Total Service Area of 300,000.